While the names of the places I read were creations of Montgomery’s imagination, the inspiration for them was very real. Montgomery spent her childhood and young adulthood in Cavendish on Prince Edward Island, the town that served as inspiration for Anne’s town of Avonlea. When I first read the book, curled in the cozy corner of my bed, that literary transport was enough. The images of irregular rough red coasts with crashing waves, rolling green fields accented by purple lupines, spotted with cows and the occasional quaint house sounded like a surreal paradise my fourth-grade self couldn’t fathom actually visiting. 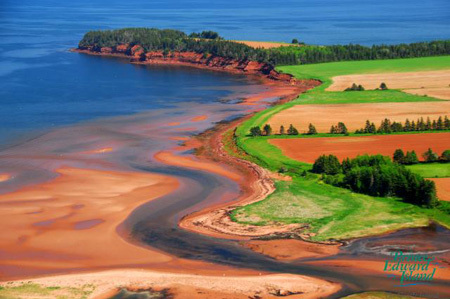 But now, having gained independence and spent far too much time on travel sites, just reading about Prince Edward Island doesn’t satisfy my wanderlust. As summer approaches and my travel itch intensifies, I want to experience the place I visited via my imagination as a child in person. As I researched my desired destination, I found I am not the only own who feels drawn to the real life location of my favorite fiction. 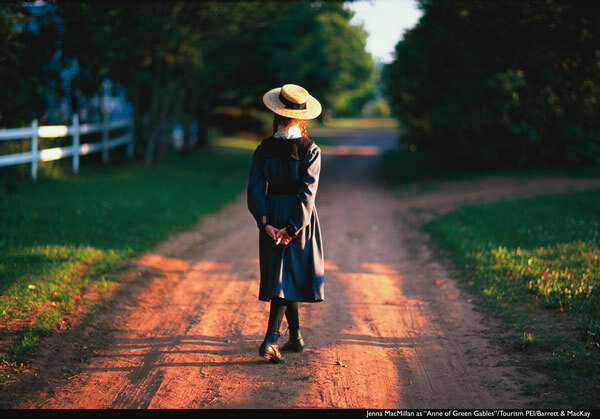 Anne of Green Gables accounts for hundreds of thousands of Prince Edward Island tourists each year. A century after the book’s publishing, the feisty redhead still draws in one of four PEI visitors, and one-third of the island’s annual $370 million tourism income is Anne-related. Even the British Duchess Kate Middleton insisted on stopping there on her 2011 Royal Tour because of her love for the book as a girl. The PEI tourism board is conscious of the Anne factor and allows the book its own section on the island’s website. Cavendish boasts a Green Gables Heritage Place, an Avonlea Village re-creation, Montgomery’s preserved homestead and an annual L.M. Montgomery festival. The tourism board even has a pre-planned Anne Vacation Itinerary for those looking to experience Green Gables life in a focused and time-efficient manner. While PEI has been filled with American and Canadian tourists for years, a recent boom of Japanese and Chinese visitors has brought numbers to an all-time high. Thanks to the book’s inclusion in Japanese curriculums since 1953 and a popular anime series, the Japanese account for new generations of Anne lovers. Green Gables is a surprising new destination for Japanese weddings, with some brides even dying their hair red and dressing the part. The Canadian government has just invested $27,500 to introduce a new Mandarin version of Anne of Green Gables in hopes of recruiting and encourage an already emerging enthusiastic crowd from the world’s most populous country to continue visits to the island. Any piece of literature that has been translated into 40 different languages, 13 film and television adaptations and multiple stage productions proves it has continuously drawn in readers everywhere into its world. And while literature will always remain the easiest way to experience the world vicariously, the only better way is to experience it in person. 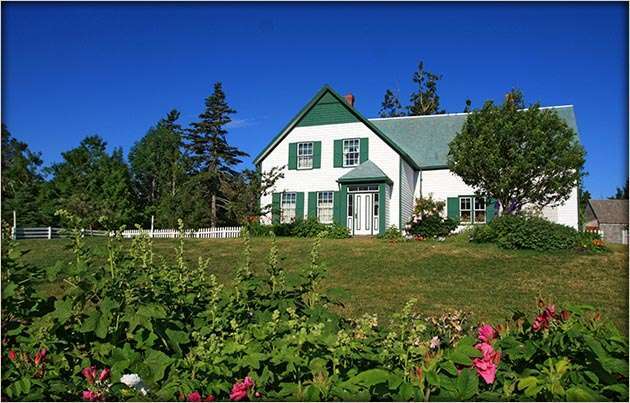 Love Anne of Green Gables- would love to visit someday! Thanks for reading. I hope to make it there as soon as possible, and I’m thinking I’ll need to reread the book along the journey.